From time to time, every business needs additional resources. A special project, expansion into new markets or implementation of new systems may cause a company to need additional support for a specific length of time. Implementing and utilizing SPC to drive process improvements requires time, resources and training. When you need extra resources to implement an SPC system or drive process improvement through the use of SPC, you can count on Quality-One for support. We can provide on-site support at your facility with highly trained experienced professionals to assist your company based on your needs. 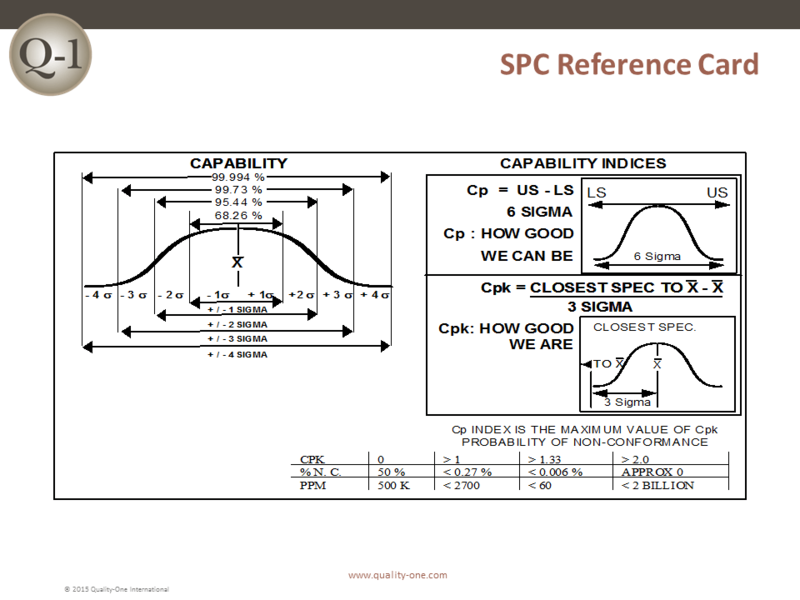 Whether it is assisting your team in the initial development of your control charts and data collection systems to analyzing the data and driving process improvement, Quality-One can provide the professional SPC Project Support that meets your particular needs. At Quality-One, your success is our business!